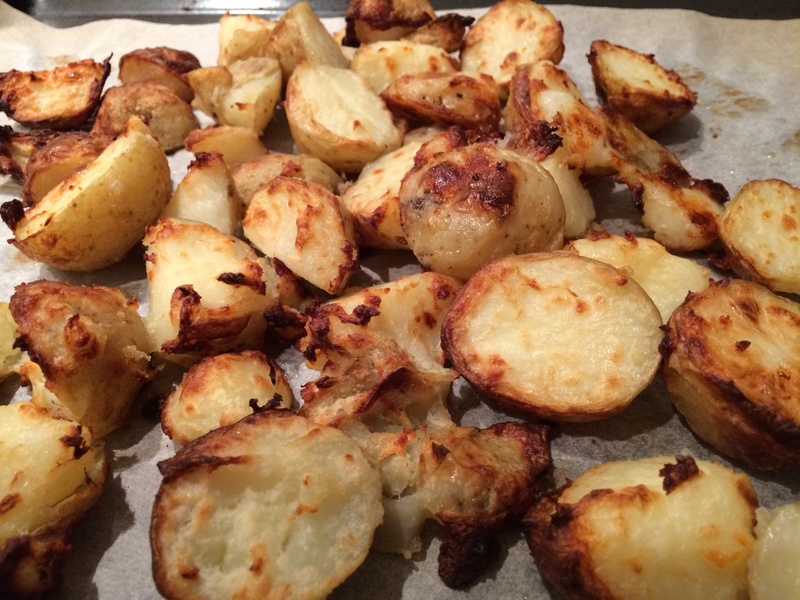 They’re crispy and the best roast potatoes we’ve ever made, adapted this Chelsea Winters recipe (link above) “perfect crispy roast potatoes” for the thermomix from her wonderful blog. This is the third batch made because they were demolished and one kilo of potatoes just isn’t enough for afternoon tea and dinner, left skins on for better nutrition and to save time. Using the method from Katherine Clay on the recipe community to first steam the potatoes in Varoma for 20 minutes, speed 2 with 500g water in bowl. Left thermomix steaming and went to drop kids off to activities and came back and they were done. Just love this about the thermomix, the set and walk away factor is so convenient. Once parboiled/steamed leave to drain off moisture from potatoes before adding oils, as per Chelsea’s recipe. Shake dish with lid on to rough up the potatoes. Generous sprinkle of salt, then fan bake on a high shelf in oven 220C for 25 minutes. The kids kept looking for all the burnt crunchy bits. Yummy!